Additionally, it sounds as if the new device that the new device at the $899 price point is in fact not an entry-level MacBook, but may be an LED-based 24" Cinema Display. It sounds like we'll know for sure tomorrow. Additionally, it sounds as if the new device that the new device at the $899 price point is in fact not an entry-level MacBook, but may be an LED-based 24" Cinema Display. That'd be nice. They're certainly long overdue for an update. After almost a year of dilly dallying over whether to get an iMac to partner with my old G4 iBook, or a MacBook Pro I've pretty much settled on the latter as I'll be moving around a fair bit next year (at home I may partner it with my plasma rather than one of the Cinema Displays). Hybrid SLI? technology, based on NVIDIA’s industry-leading SLI technology, delivers multi-GPU (graphics processing unit) benefits when an NVIDIA motherboard GPU is combined with an NVIDIA discrete GPU. Hybrid SLI increases graphics performance with GeForce? Boost and provides intelligent power management with HybridPower. Such a configuration will also be beneficial when Apple introduces OpenCL with Snow Leopard in 2009. OpenCL will allow applications to offload processing to GPUs. Other features described for the new MacBook Pros include speeds up to 2.8GHz, improved wireless connectivity, 7200 RPM hard drives, HD displays, 128GB SSD option, user-serviceable hard drive and an extra long battery. MacNN also confirms that Firewire will be a feature reserved for MacBook Pros and the MacBooks will not contain Firewire. However, they do believe that MacBooks will be announced during the event, despite a curious footnote by Engadget indicating otherwise. Daring Fireball confirms the leaked MacBook Pro photos from earlier this evening and adds some intriguing details about the new notebook. 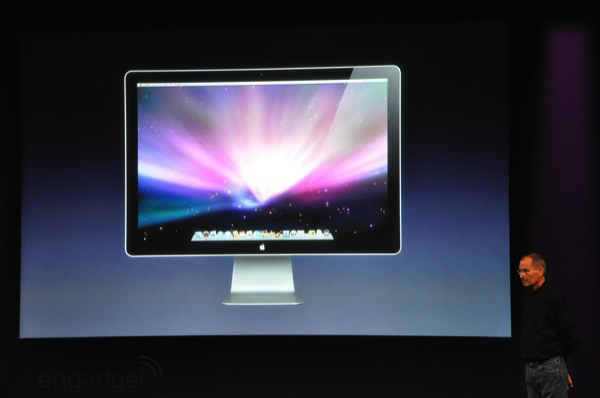 The new trackpad is similar to the Air’s, in that it is bigger and supports additional multi-touch gestures. But unlike the Air’s, the MacBook Pro’s new trackpad is made of glass, and is a button itself. You just press and it clicks. In addition, he confirms what some have suspected -- that the new MacBook Pro is not available in matte-finish, only glossy. 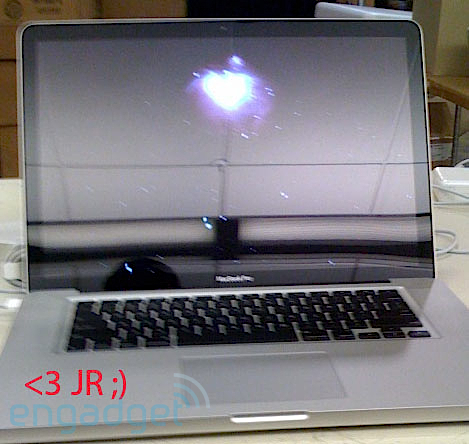 There will be no new 17" MacBook Pro immediately available, and it's unclear when/if it will be revised. The existing 17" model will still remain on sale but with increased storage/RAM options. Gruber also confirms that regular MacBooks will be revised and that Engadget's footnote is wrong. The MacBook will contain the same buttonless trackpad and similar case design as the new MacBook Pros. 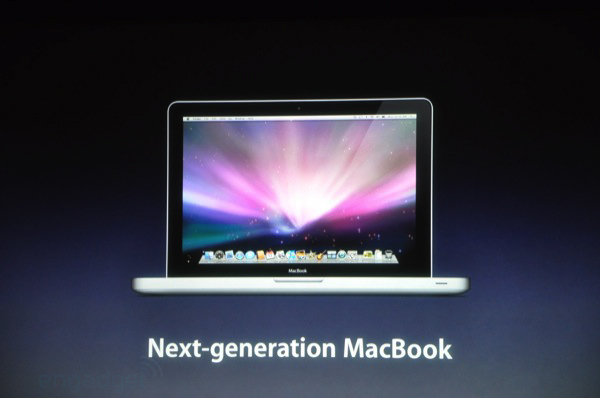 MacBook Airs will be updated with a larger 120GB hard drive and larger 128GB SSD option. He also confirms our report about an $899 24" LED Apple Cinema Display. CPU speeds are expected to remain about the same across all models, however, the MacBooks will benefit from improved graphics performance with built in NVIDIA 9400M GPUs. MacBook Pros will also contain a dedicated 9600M GT GPU, which should provide a large performance benefit as we've previously detailed. The existing $1099 2.1GHz MacBook model will apparently remain to fill a $999 price slot but will not have the advantages of the new machines. Gruber was the first to accurately predict the October 14th announcement date for the new Apple notebooks. Yeah the more I look at that new MBP the more I don't like it. I don't like glossy screens on my laptops, it makes them so hard to read outdoors. Also I'm not feeling great about the new button less track pad, tap to click is one of the first things I always disable in a new computer. I'd think/hope that if it is truly announced as exclusively sporting a glossy screen feedback from users will be so strong that Apple will be forced to reconsider and make matte an option again in the coming months. Why would they (potentially until the event confirms it) even think of getting rid of matte in the first place though? Glossy only on a "pro" product is downright strange given how many users favour the matte option. Should we expect it of this rumoured Cinema Display too? Apple are doing a few things these days that leave me scratching my head and glossy only MBPs would top the list. It's not a deal breaker for me (I can't move on from Apple as I need to run Final Cut Studio 2), but I like having options. Still, not long until we know what's what and see how accurate any of these rumours are... I'll tune into Engadget's coverage this evening as I've always enjoyed it. I'll tune into Engadget's coverage this evening as I've always enjoyed it. I'll tune into Engadget and I'll even click on an ad or two. That would be wacky. 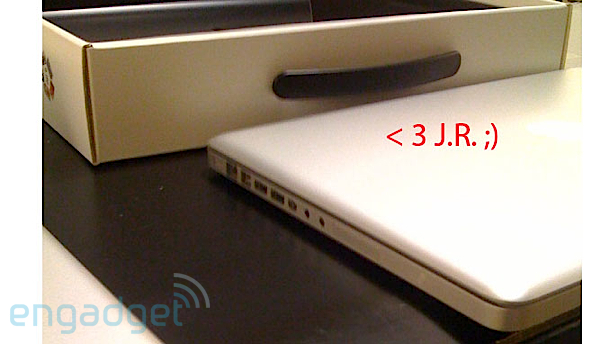 There were rumors that the trackpad would be touchscreen, but that would REALLY surprise me. This is probably going to get lost in the shuffle, but here it is... In the previous thread I talked about Quicken Online. It's still a little beta-y, but the good news is that it's now free. I recommend it. Well so far all the rumours about the MBPs were spot on. Jobs appears to have side stepped any mention of it being glossy only but since everything else was accurate we might as well take that as truth as well. Instead of buying a Macbook Pro, I'd consider getting a Macbook and the new Cinema Display and calling it a day. It's virtually a wash, price-wise. 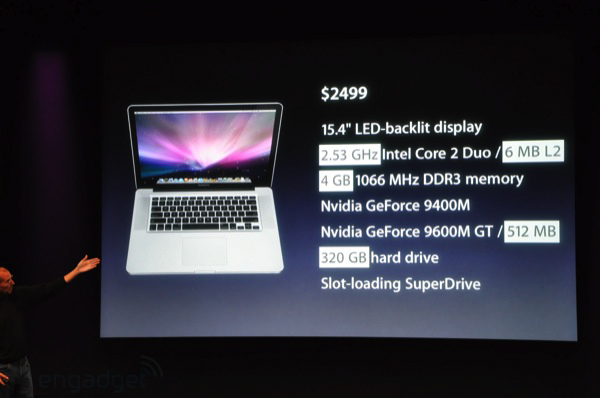 The Macbook specs are great. I'd be able to carry around a smaller computer, and then come home and connect it to my larger display. If they would put a damn 1920x panel in the 15", they could drop the 17" outright as far as I'm concerned. the actual button being the entire trackpad might be annoying if I just click away when I intend to move the cursor. And the lack of Blu-ray was disappointing, but understandable. For anyone who's ordered from the online site, how long does it take to ship (I'm not looking at a BTO)? I still don't know what to think. I don't like the glossy screen but, as I'd written earlier, I can't be without Apple hardware as I'm too big a fan of Final Cut Studio..etc. I hate the fact there's no massive difference between the MacBooks and MacBook pros now though... Just seems a bit odd to even have the 'Pro' branding anymore. I'm surprised to see the CPU on the $1299 MacBook drop to 2.0 GHz. I'm guessing the faster GPU will make up for this somewhat. Lack of Firewire completely on the Macbook is disappointing to me. Glossy is fine with me. I prefer it over matte. Though I'm wondering why the 17-inch is limited to 2.6 GHz while the 15-inch has a 2.8 GHz option? I dont think the 17-inch Pro has been refreshed yet. It looks like the old model on the page. The 17" still uses the old design correct?